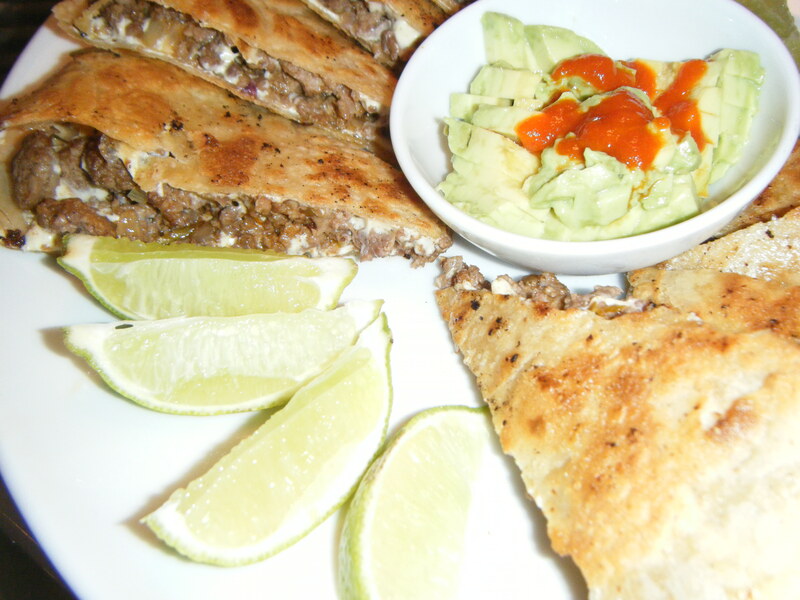 You won’t miss the old flour tortilla quesadillas once you try these. 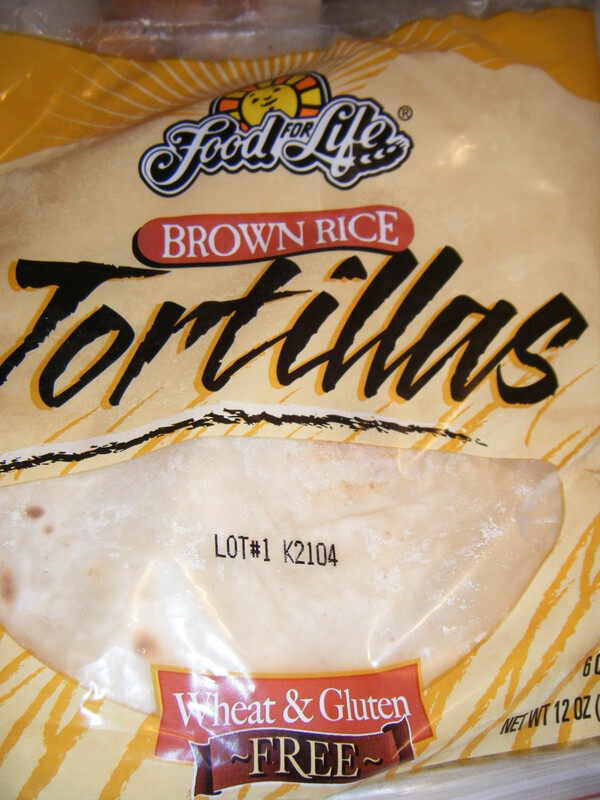 The brown rice tortillas have an extra crunchiness that makes for an amazing quesadilla. My favorite is the Food For Life brand(sometimes found in the freezer section), but I’ll be sure to work on a homemade recipe. 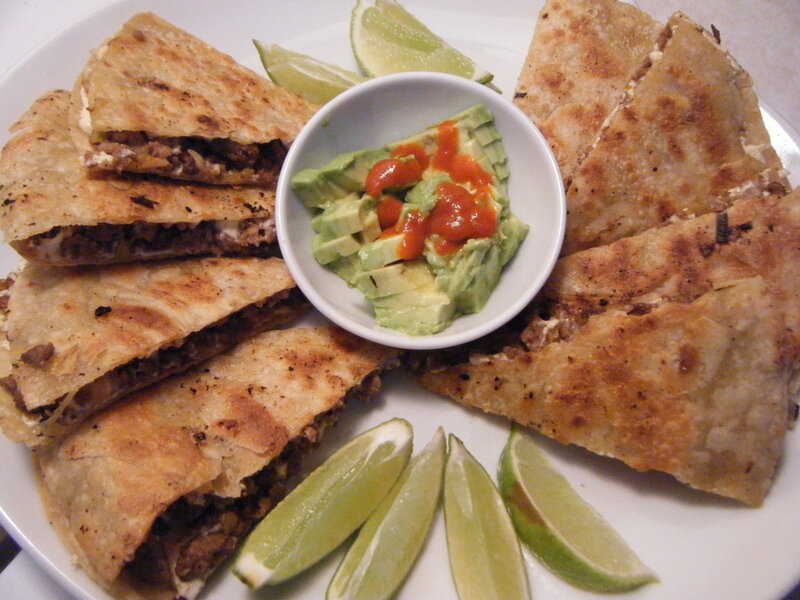 This is just one variation of the endless array of quesadilla possibilities. I created this one with what I had on hand and my bf’s addiction to Sriracha in mind. There aren’t many meals that he doesn’t cover in the hot sauce. Adding it to the meat is an easy way to get lots of flavor. It’s pretty spicy, so use according to your palette. Another note on the preparation, I don’t rinse the pan between cooking the filling and the outside. This causes the extra bits to coat the outside of the quesadilla for extra flavor (be careful not to burn). Heat 1 Tb. oil in large skillet on medium high heat. Saute all onions and garlic. Add ground beef and break up. Brown meat and reduce heat to medium. Add the juice of 1 lime, sriracha, coriander, salt and pepper. Once meat is cooked and has absorbed lime juice and sriracha, transfer to a bowl and set aside. Return pan to stove and add 1 Tb. oil. Put one tortilla in the pan and cover with 1/2 the shredded cheese. Add your browned sriracha beef and top with remaining cheese and top tortilla. 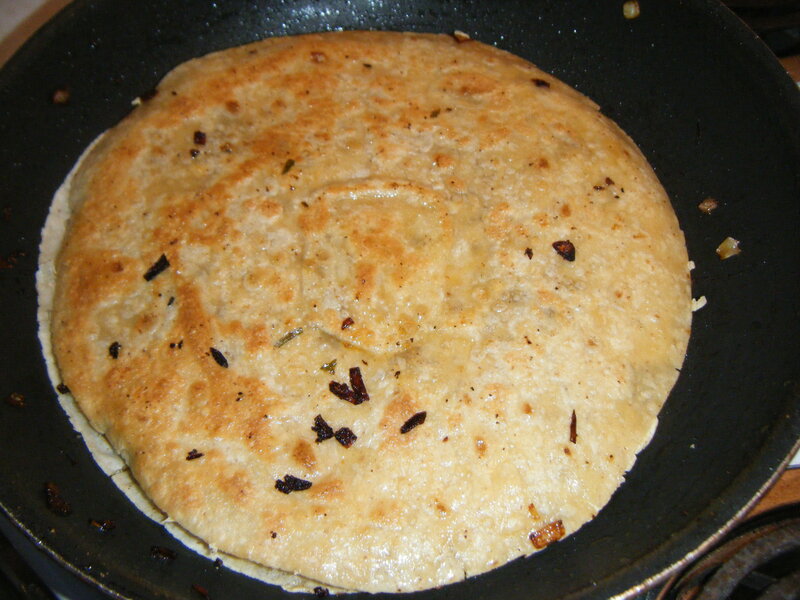 Cook until bottom is browned and crispy. Use the biggest spatula you have, flip (carefully) and add a little more oil if needed. Finish browning quesadilla and turn off heat. Transfer to a cutting board and cut into 6 or 8 equal portions. 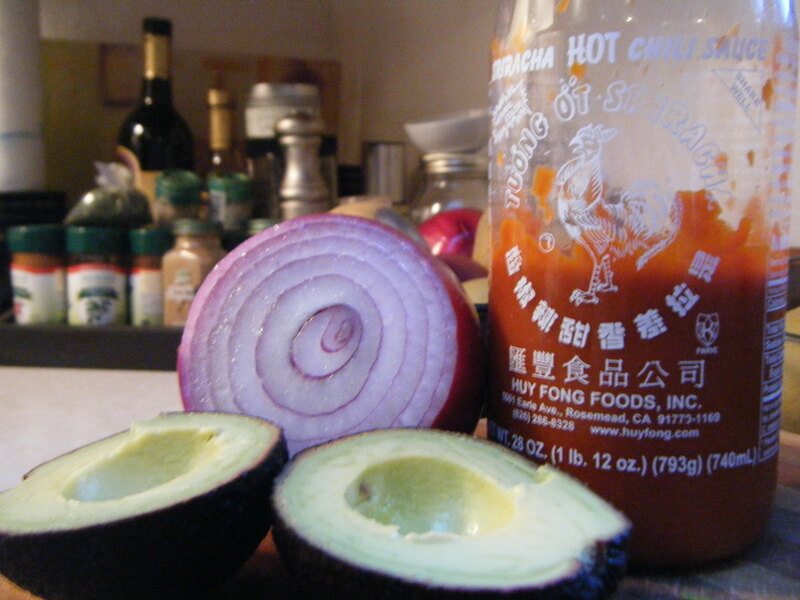 Garnish with avocado and more sriracha. Lettuce, tomato, black olives and sour cream would also make great additions. 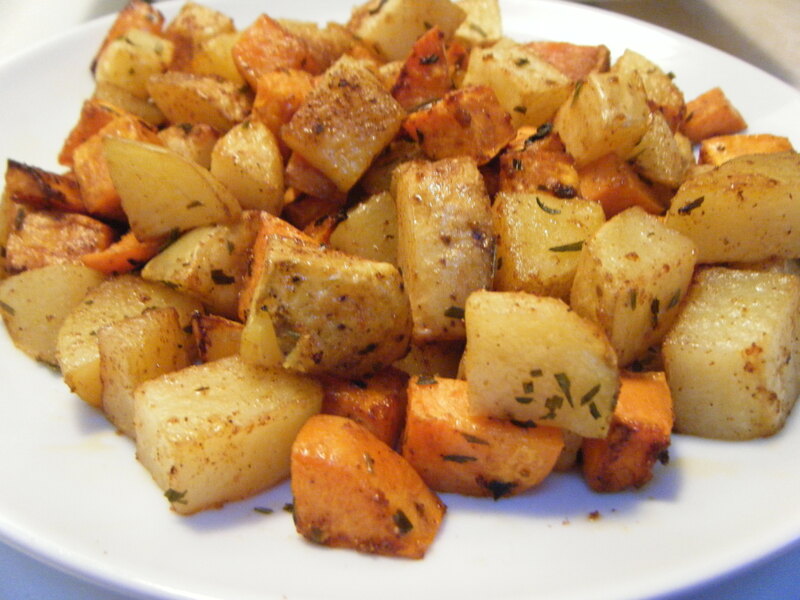 Serve with Spicy Lime Roasted Potatoes.